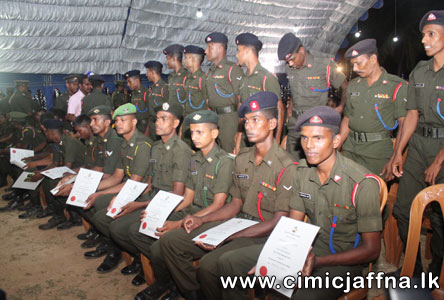 The first English Language Course – 2014 for officers serving in Jaffna ended on Thursday (11) with award of certificates in Multi Facility Complex auditorium at Headquarters Security Force Jaffna. 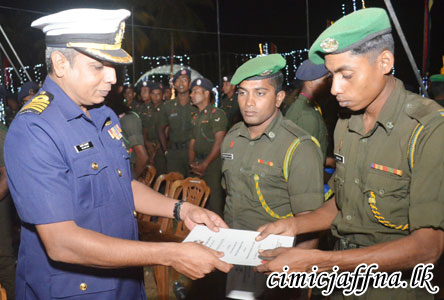 Thirty one commissioned officers representing all military formations in Jaffna received credentials of language proficiency in a grand ceremony. 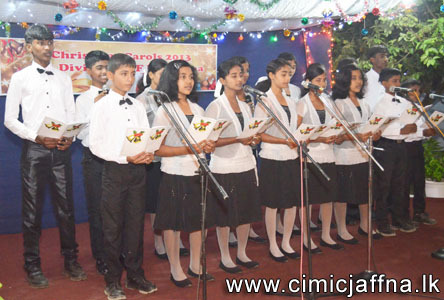 Student officers conducted the whole programme consisted of an End of Course Concert and the award ceremony. They displayed their talents and language skills acquired from the course during the concert which included varieties of entertainment with Shakespearean drama. 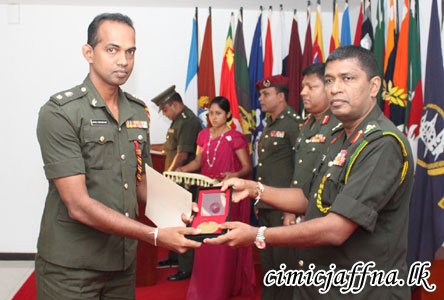 Officers with excellent performance received their certificates and awards from Major General Nandana Udawatta, Maser General Ordnance at Army Headquarters, Chief Guest of the event. Manager British Council Jaffna Ms Manda Brown and Commander Security Force Major General Udaya Perera also gave away certificates. 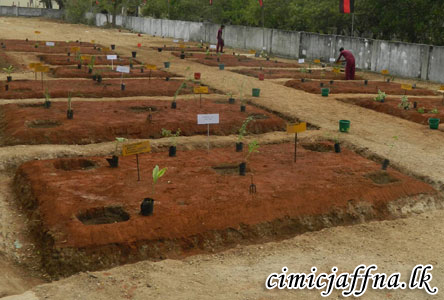 Arrangements were made by the Headquarters Security Force (Jaffna) for parents and family members of officers of the course to witness the event. 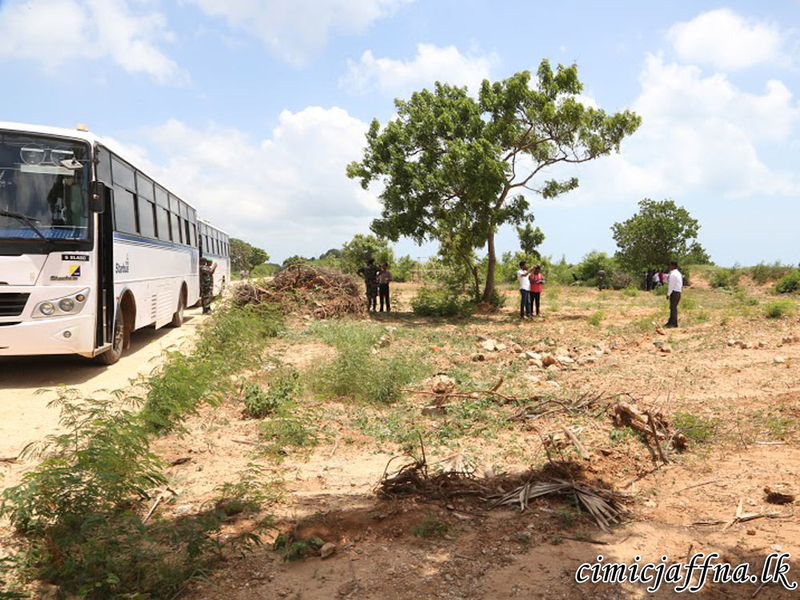 The English course was a part of academic and military training programme organized by the Headquarters Security Force Jaffna on the concept of transforming the SF (J) to a learning organization. Chief Guest impressed with the presentation of student officers thanked Maj. Gen. Udaya Perera for his initiative to make his officers competent in effective communication. 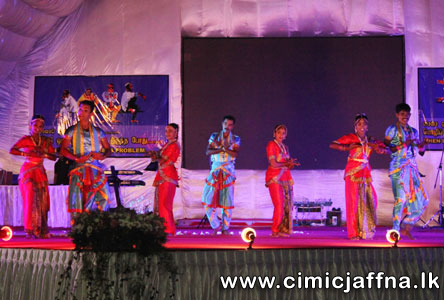 Using instructors from Jaffna education field to conduct the language teaching was praised by the Chief Guest who stated that it would strengthen the relationship between Army and civilians. Mr. Sri Rajkumar Kanapathipillai and Mr. Aravinthan Vadivel assisted Army English instructors to improve the language skill of officers during the period of three months. Commander SF (J) citing examples from different learning situations highlighted the importance of English as a key to professional development and the enhancement of knowledge. Member of British Council academic and coordinating staff, Senior officers of Army, Navy and Air Force, Jaffna university students and representatives from education and media sector were also present. 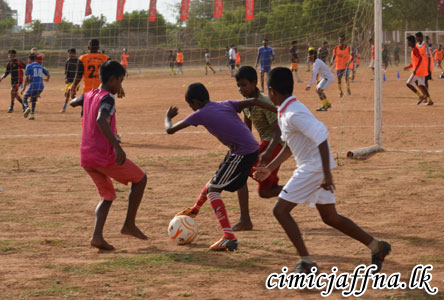 Commander Security Force Jaffna (SF – J) Major General Udaya Perera said that language has the power to build unity among the communities. So Sinhalese must learn Tamil and Tamils must learn Sinhalese. He expressed these ideas attending a ceremony to distribute awards and certificates to 1122 soldiers who successfully completed a Tamil Language Course conducted by the Headquarters Security Force Jaffna (SF – J). 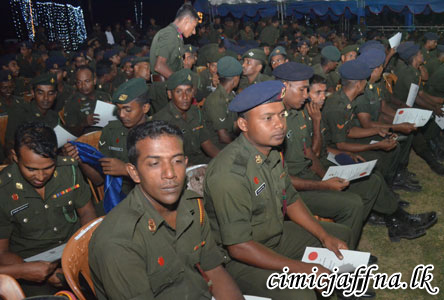 During ceremony organized at Kankesanthurai on Thursday (05) evening, 12 officers and 1110 other ranks received certificates and awards according to their order of merit obtained in the tests conducted at the end of the course. Exhibiting their language proficiency, students of Course No. 1 and Course No 2 presented playlet for the entertainment of the audience comprising distinguished guests. 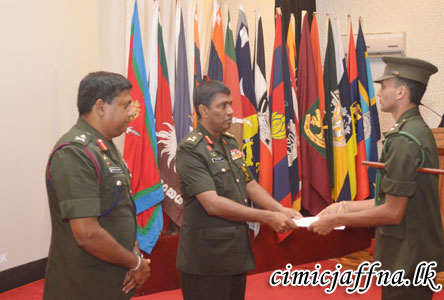 To facilitate easy and uninterrupted communication with civilians in performing duties, Security Force Jaffna, on concept of the Commander SF – J Major General Udaya Perera, has planned to give Tamil language training to all officers and men serving in Jaffna. Professional in the field of language teaching in Jaffna and soldiers who were trained at the Army Tamil Language Training school, Kotmale conducted lectures. Rev. D.S. Rathnasabapathipillai Kurukkal of Maviddapuram Sri Skantha Temple, Vicar General Jaffna Rev. Fr. Dr. Justin P. Gnanaprakasam, Government Agent Jaffna Mr. S. Arumainayagam and Ms Agnes Asekenye Oonyu, Head, UN Office for Coordinating Humanitarian Affairs also joined Maj. Gen. Udaya Perera in awarding certificates. 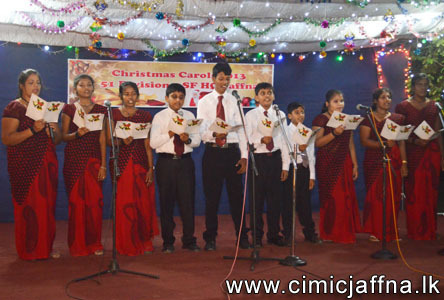 Celebrating the birth of the Prince of Peace, Security Forces – Jaffna (SF-J) organized Christmas Carol on 27th evening with participation of catholic priests, distinguished guests and a gathering of civilians. 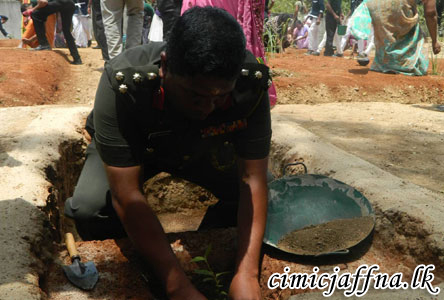 The event was organized for the fourth consecutive year on directives of Commander Security Forces Jaffna Major General Mahinda Hathurusinghe at Civil Affairs and Public Relations Office on hospital road. Opening prayer was conducted by Rev. Fr. Reggie Rajeswaran of the church of Our Lady of Refuge, Jaffna. It was followed by reciting of hymns by children of Iruppalai Canaan Prayer Centre, Kondavil Assembly of God Church and the soldiers of SF-J. 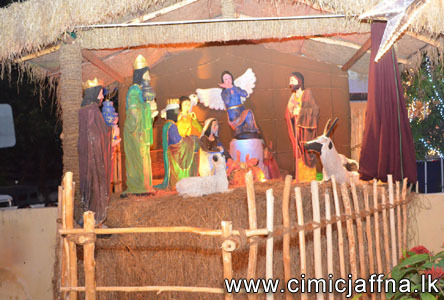 During the carol service, Santa Claus distributed Christmas gifts among children present to witness the event. 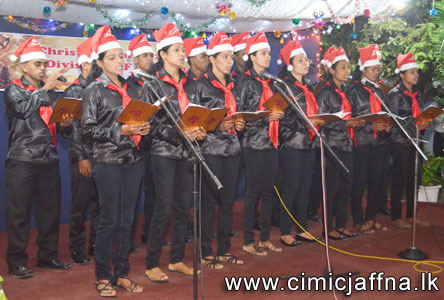 Later, the choir on board a gaily decorated vehicle toured to many areas including Passiyur, Gurunagar, Navanthurai and city centre till midnight.